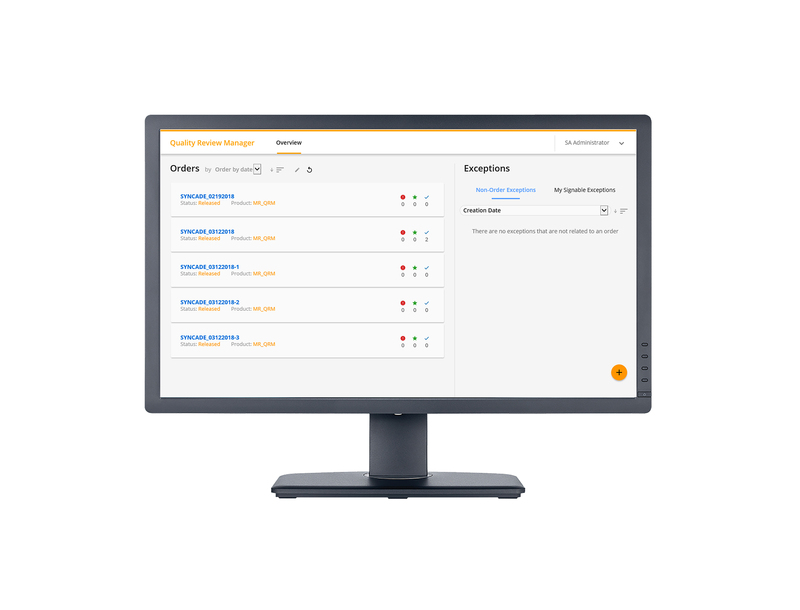 Emerson has released Quality Review Manager, a software application designed to reduce the time it takes to release therapies to patients by decreasing the time and effort required for product quality reviews. Delivered as part of the Syncade manufacturing execution system (MES), this new tool helps life sciences companies more easily adopt review-by-exception operating approaches, allowing quality and manufacturing personnel to safely release batches faster, reducing inventory and time to market. Quality Review Manager significantly reduces the length of reviews by simplifying the process of accurately documenting all actions taken when responding to exceptions. Today most review teams must wait until after an entire batch is complete before reviewing process exceptions. With the new tool, the quality department can review process exceptions as they occur and while the batch is still in process, providing a more accurate and timely response. Exception reviews can be completed within hours of the exception occurring rather than weeks after the batch has been completed, eliminating potential delays in releasing product to patients. Providing a single environment for reviewing exceptions, Quality Review Manager speeds up the process of managing exception documentation by autogenerating data that provides context for each exception. Exception dashboards help prioritise reviews while focusing on the most critical exceptions affecting the process. After all exceptions are closed, the tool supports an automated release methodology by immediately releasing finished batches once all exceptions are resolved, thereby reducing the lag between production, product release and patient delivery. The web-enabled tool, accessible through traditional workstations and modern mobile devices (e.g., tablet or smartphone), facilitates collaboration among stakeholders and quality personnel by making documentation and other relevant information available anywhere.